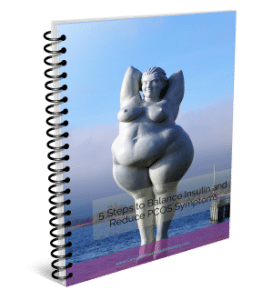 If you have PCOS, you may have heard about the link between insulin and blood sugar health and PCOS. 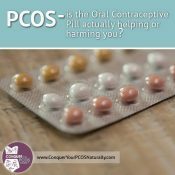 Perhaps you know this because your medical doctor has recommended or put you on a drug called Metformin, which is used to help with blood sugar balance in women with PCOS, as well as diabetics. When my doctor recommended I take the drug, I knew it didn’t resonate with me. I knew I wanted to go completely natural, and that I just needed to figure out a way to do it! 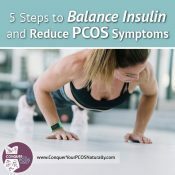 In order to understand why using natural remedies for healthy insulin sensitivity is so important, I want to first briefly explain what the heck insulin has to do with PCOS anyways! 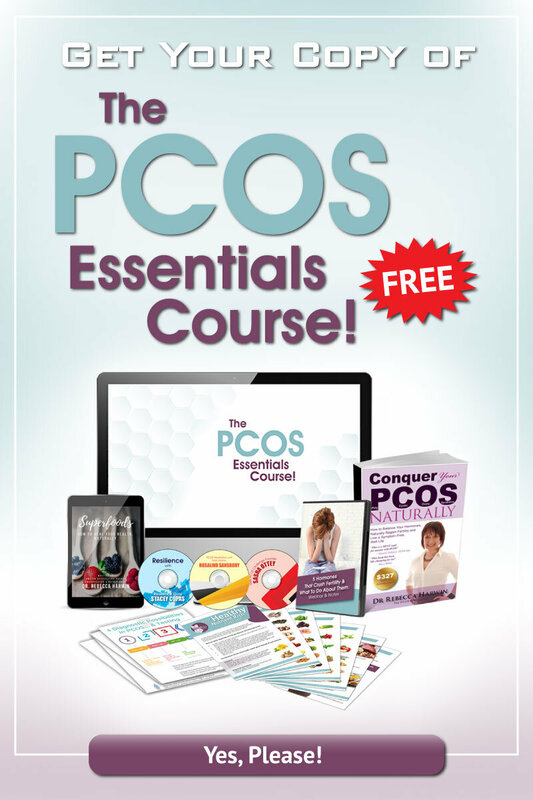 Women with PCOS are known to have higher blood glucose levels, and with that impaired glucose tolerance. If you add being overweight or obese to this, insulin sensitivity goes haywire, much more easily in women with PCOS than those without it. 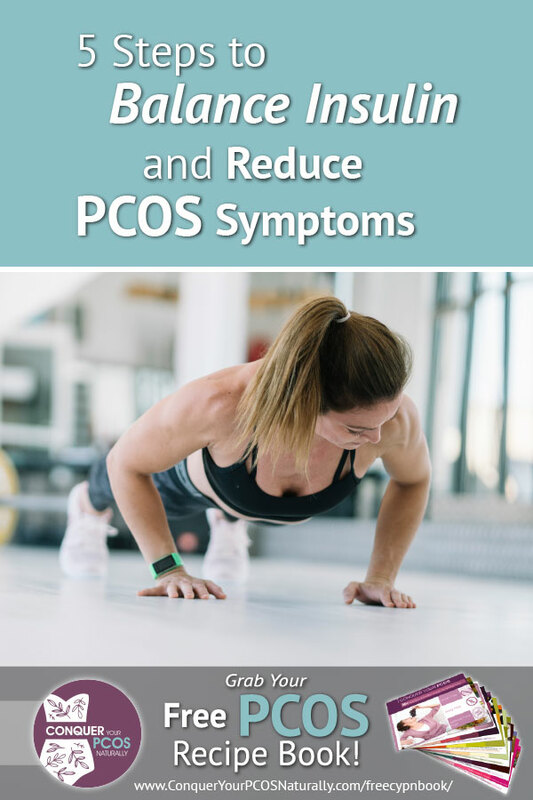 Imbalanced blood sugar and insulin in women with PCOS can contribute to the signs of excess androgens like acne, hair loss, facial and body hair growth, as well as menstrual irregularities like anovulatory cycles, lack of periods (amenorrhea) and fertility issues. 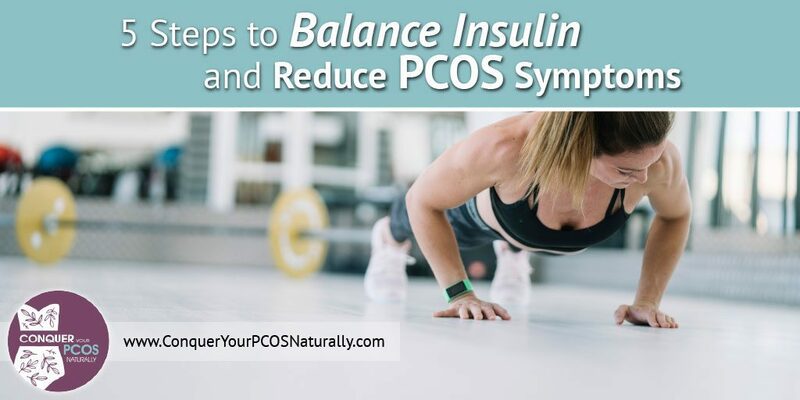 Below I’m outlining 5 steps to balance insulin to reduce the stress-inducing and often embarrassing physical symptoms of PCOS. Don’t believe the low-fat or fat-free myth. This whole fad was based on old and bad science. We now have a better understanding of the role of fats in the body- and it’s a good one! Every single cell in our bodies have a membrane made almost entirely of fat. This membrane is important for protecting cells and allowing them to communicate in a productive way. If we don’t consume enough fat, our cells won’t work properly- including ovarian cells, pancreatic cells (where insulin comes from) and the like. In addition to this, all of our steroid hormones (like testosterone, estrogen, and cortisol) are made from cholesterol, a component of fat! Lastly, fat is the slowest digesting of the macronutrients (protein, fats, and carbs), keeping us fuller longer, and lessening the chance that we will be binging on a bag of chips or cookies throughout the day because our eating is out of control. So: eat fat. 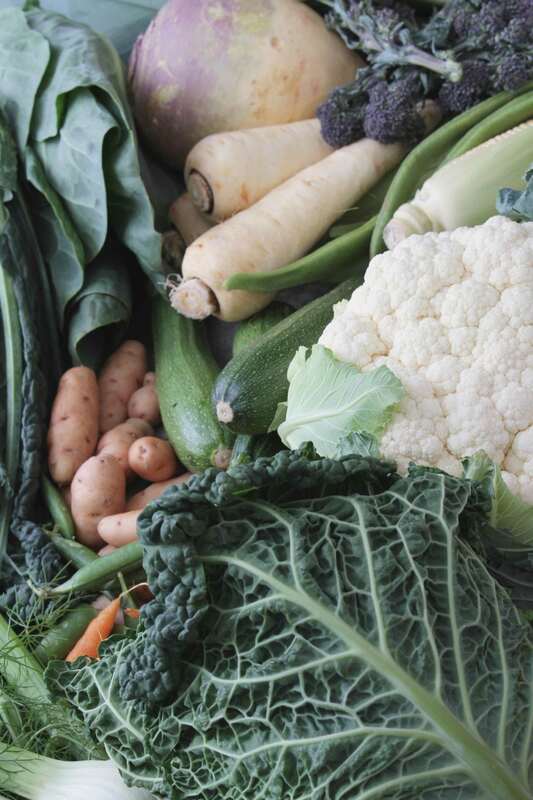 Healthy fats should be deliberately added to each of our meals, to ensure we get enough! 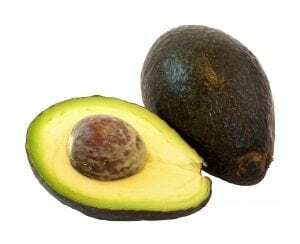 Some examples of healthy fats to try are avocados and their oil, olive oil, full-fat coconut milk and oil, nuts and seeds, fats in meats, butter, ghee, and red palm oil. HIIT or High-Intensity Interval Training combines bodyweight resistance and cardio exercises in short but intense bursts over a short period of time for maximum impact. No more hour-long treadmill walks. Usually, between 10 to 35 minutes, these workouts pack a powerful punch. An improvement was seen in glycemic control in a meta-study of people taking cinnamon. 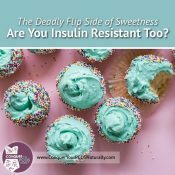 It wasn’t just great for diabetics either – even those with a few sugar issues (like perhaps women with PCOS). It also helped to reduce fasting and postprandial (aka after-eating) glucose testing and the HbA1C test. Bonus if you pair it with ginger – studies have shown that insulin sensitivity increased and weight decreased when they’re together. I often add cinnamon to my food, like a teaspoon to my smoothie or some mixed into my breakfast chia pudding. 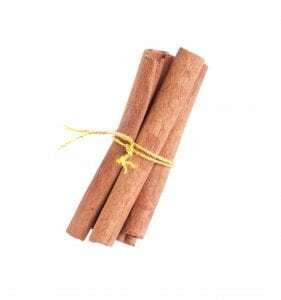 Cinnamon is also useful as capsules and herbal tincture if being used medicinally. Fiber from whole, real foods, (sorry, Metamucil isn’t a favorite of mine!) 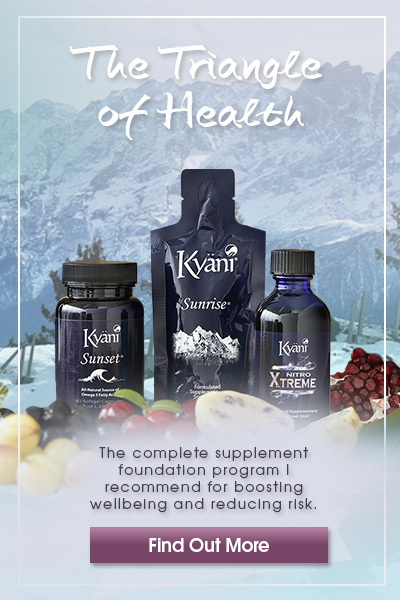 is excellent for blood sugar balance. It helps to reduce the spike in blood sugar when you eat. For example, the fiber in an apple prevents a big spike of glucose when you eat it, as apple juice (apple sugars without the fiber) would. Additionally, fiber helps to excrete excess hormones like estrogen which can be out of balance for some women with PCOS. Aim for between 35g to 45g of fiber daily. Note that if you have anovulatory cycles or are trying to get pregnant, aiming for the lower amount of about 35g is best, as too much fiber can interfere with healthy ovulation. When we are stressed, our body releases our stress hormone- cortisol. When cortisol is high, it causes our blood sugar and insulin to also be high. When insulin is high, it turns into a fat storage hormone. Plus, we already know that high insulin can interfere will healthy periods and ovulation. 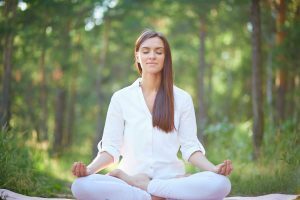 So, long story short- reducing stress is critical for healthy reproductive function, and of course a healthy you! 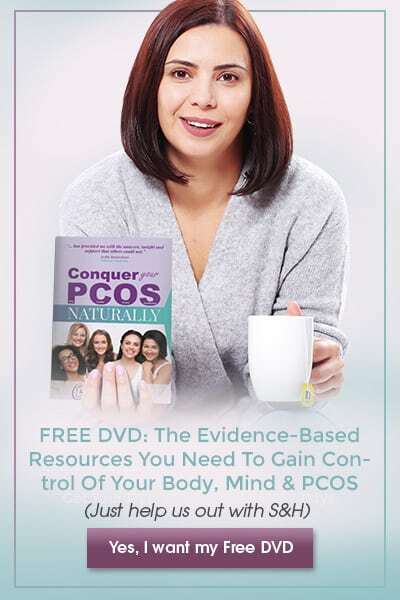 When I shifted my focus from managing the PCOS to managing my stress, my periods began to normalize, my skin cleared up and my hair stopped falling out. Who knew! 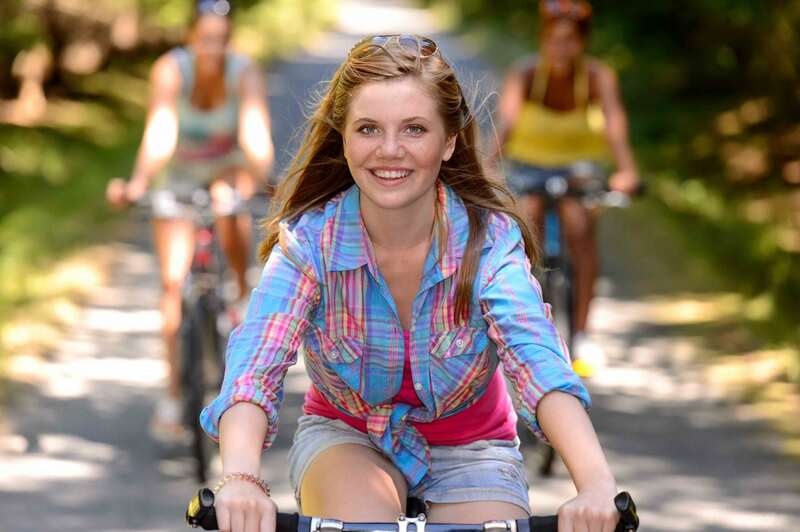 Fit in as much stress management and self-care as you possibly can. 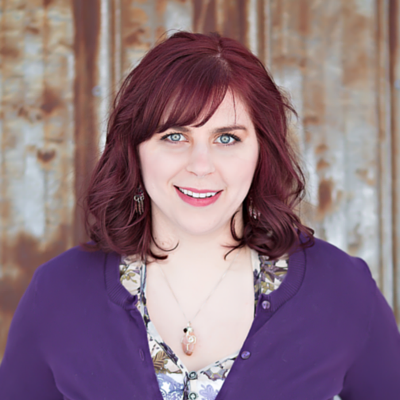 Do it so you can show up as the woman you truly want to be. Do it for your hormones. Do it because it feels good. Some examples of my favorite stress-relieving activities include yoga, meditation, reading a book, taking a hot Epsom salt bath, spending time outside in fresh air and sunshine, spending time with very close friends and family, being around animals, baking (healthy treats of course!) and using adult coloring books. Find what works for you, what feels good and do it. 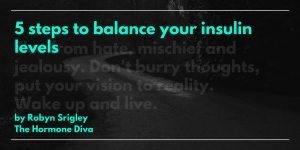 Be consistent, and you may just notice you’re happier and a better person to be around! 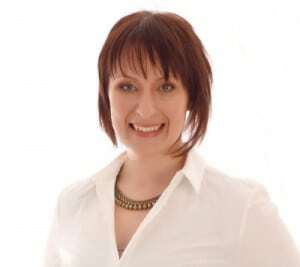 Robyn Srigley is The Hormone Diva, holistic nutritionist, and women’s holistic health coach. Robyn’s own journey with Polycystic Ovarian Syndrome (PCOS) jumpstarted her passion for helping women replace their anxieties with joy to open possibility in their lives and break free of hormonal imbalance. P.S. 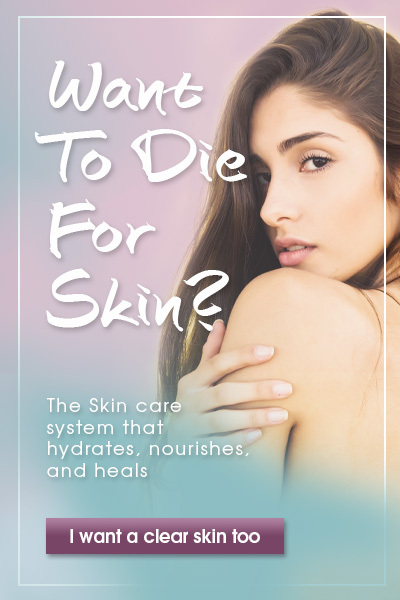 Want a PDF copy of this article? Click on the cover to download this now.